Cybercriminals are increasingly recognizing that smaller businesses can be lucrative targets as they are able to devote fewer resources to security. Cofense has partnered with a targeted group of service providers to provide their customers the dedicated resources required to strengthen defenses, build attack resiliency and ultimately stop real attacks in progress. "Phishing remains the top cause of security breaches, and when it comes to leveraging humans to help stop those threats in their tracks, SMBs can face a significant disadvantage compared to enterprises with more resources," says Robert Iannicello, VP of global channel sales at Cofense. "Our MSSP program will arm more small and mid-sized organizations with the necessary tools to build attack resiliency and most importantly, report, respond to and stop active phishing threats. Also, our programs will offer key incentives and pricing designed exclusively for our MSSP partners to ensure their go-to-market success. We look forward to enabling more partners and their customer organizations with the resources needed to thwart phishing attacks across the globe, regardless of company size and scope." 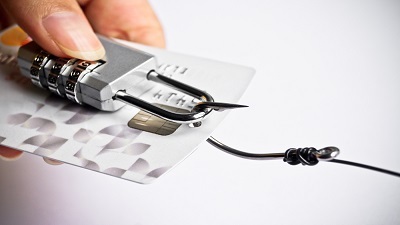 Partners will receive hands-on training on conducting phishing simulations, from basic to more nuanced scenarios, along with tips for measuring results and communicating success to employees and corporate leadership. To help respond to phishing attacks quickly and efficiently, MSSPs will be able to use playbooks that create repeatable workflows, so responding to recycled attacks won't require starting from scratch. "Cofense's credibility for phishing defense is unmatched, and we are pleased to be their MSSP partner," Clinton Smith, CEO of eSecure, adds. "This cost-effective and customer friendly model will be of great value to our customers and we look forward to expanding their reach to clients who might not otherwise be able to afford a proper phishing defense program." You can find out more on the Cofense website.